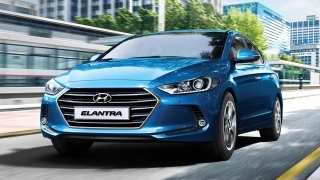 Third time’s a charm – and Hyundai’s on the right track this time around. 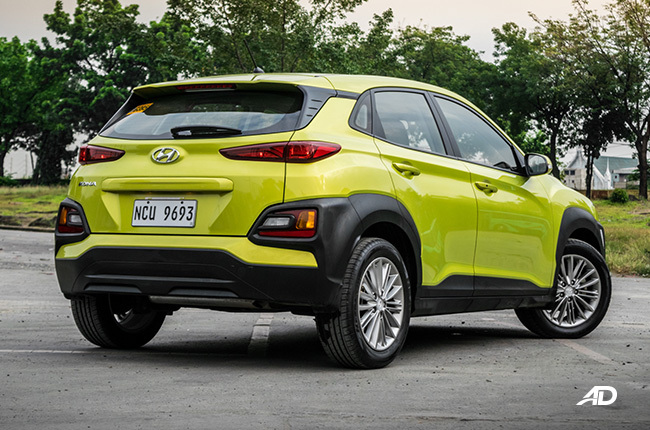 Do you remember the Hyundai i20 Cross Sport? 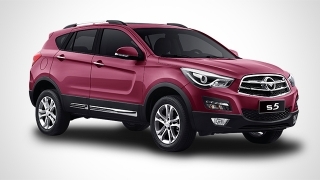 How about the Creta? You probably don’t, considering that the former wasn’t much of a hit back when it was introduced in 2015, while the latter never actually hit the showrooms for undisclosed reasons. 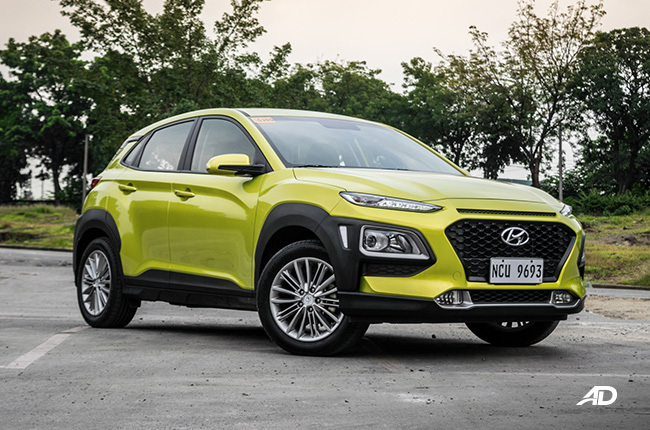 Matter of fact, Hyundai Asia Resources Inc. (HARI) has been trying to penetrate the local subcompact crossover segment in the hopes of getting a healthy share of its sales pie that’s dominated by the Ford EcoSport and Nissan Juke, but the efforts, unfortunately, fell short. 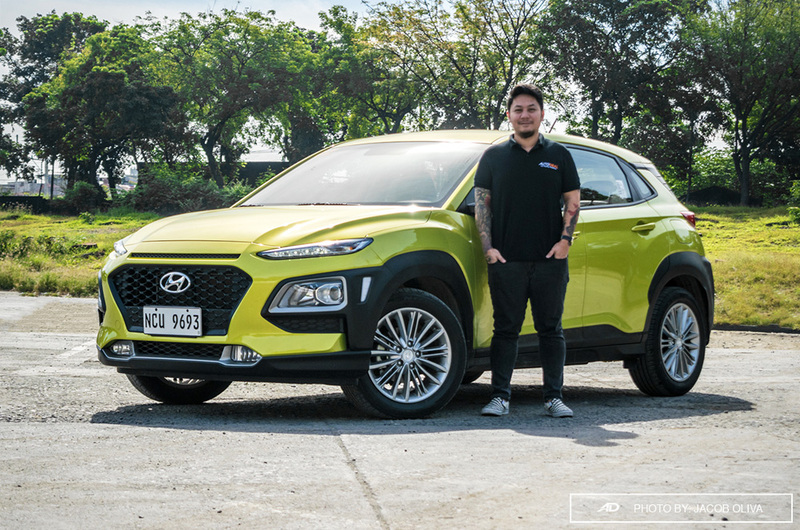 However, HARI isn’t about to give up and brings in the Hyundai Kona at the 2018 Manila International Auto Show. With several requests for us to review the all-new model, the Kona’s popularity is apparent – and it’s about time we get our hands on it for an in-depth assessment. Falls a bit short in tech features. Materials used inside the cabin. If it isn’t obvious, the most compelling trait of the Kona is its elaborate design that could appeal to the younger, dynamic, and more fashionable market. 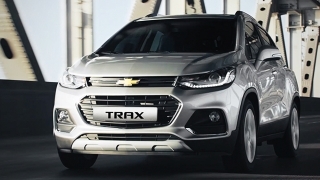 Its major design deviation is its three-tier headlamp configuration that separates the LED daytime running lights and turn signal lights (on top) from the headlights (in the middle) and the fog lamps (at the bottom). While this configuration is among the quirkiest out there, it actually works for the car. Although, it could have been better with LED headlights rather than projector halogens – but that’s just me nitpicking. 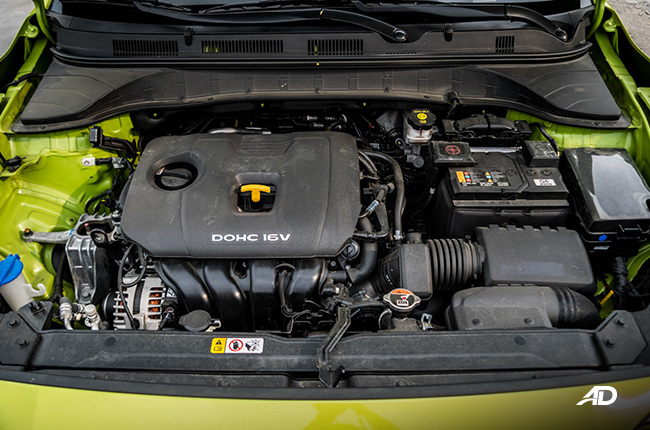 The thick under claddings of the Kona may also set some people off, as its 170mm ground clearance means that this crossover is nowhere near to being an off-roader. 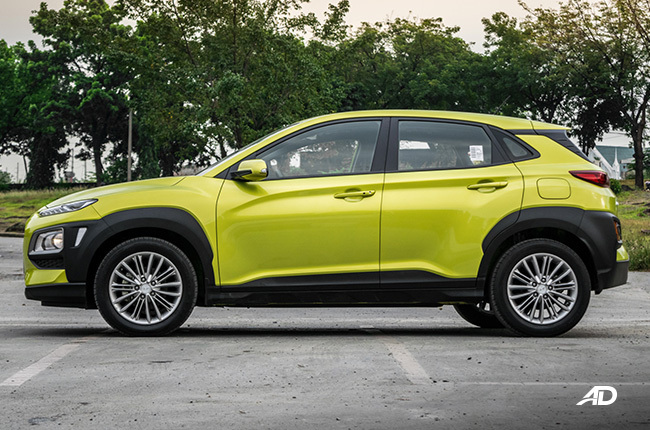 In fact, the Kona is designed as a raised hatchback rather than a compact SUV – an urban crossover specifically made for the unforgiving Philippine roads where potholes are as common as convenience stores. Nevertheless, I like the acid yellow paint job of the media unit (yes, it’s yellow), as it’s refreshing to the eyes and could really set you in a good mood. In case it isn’t your cup of tea, the Kona is also available in more conservative colors. 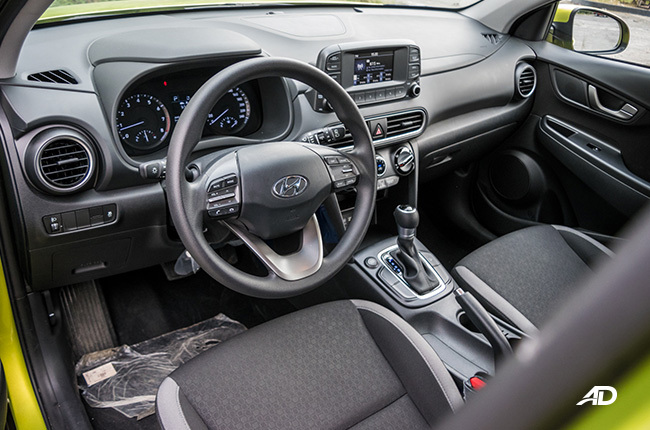 While the exterior design of the Kona is outlandish, its overall interior layout is a bit timid. There are no colors or accents to break the dark-themed interior, while plastics, albeit masked in a matte finish, populate the cabin. 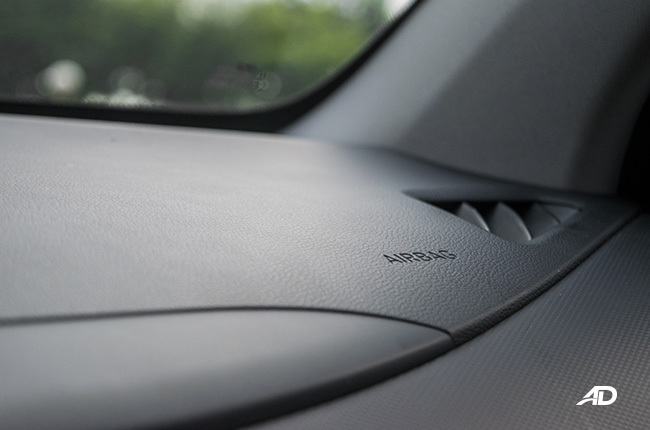 There are some bits of faux-leather particularly on the lid of the center console box but that’s about it. It makes me wish that the left elbow rest by the door is dressed in leather, too. 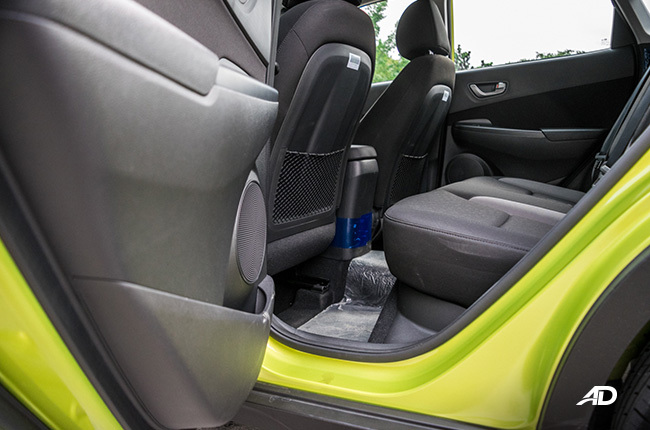 The textured fabric seats are soft and can keep your buttocks in place, while finding a comfortable driving position is fairly easy even with the absence of telescopic steering wheel adjustment. 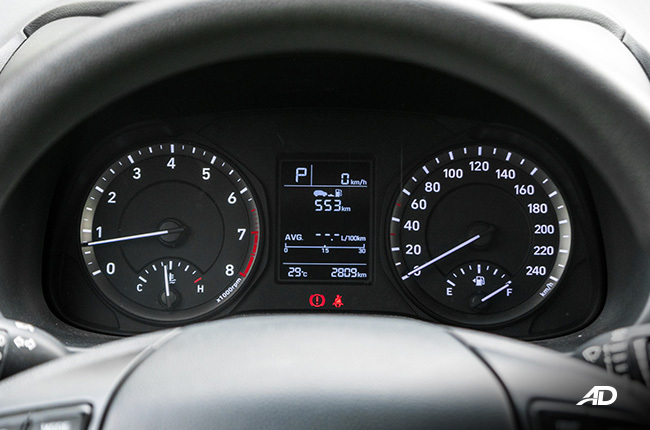 The analog gauges, multi-information display, and the infotainment system, although simple, radiate a clean minimalistic look. Kind of contrasting with the fancy exterior design, but it is what it is. Space, on the other hand, is average. Taller individuals would find comfort at the front seats but the rear could only accommodate up to three average-sized Filipino – the one sitting in the middle would have to compromise because of the center tunnel. 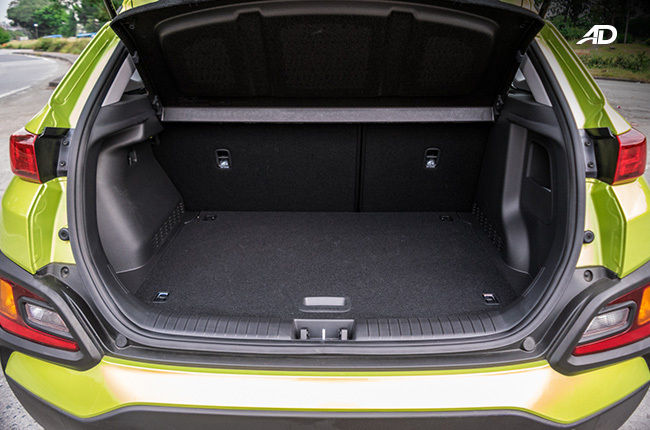 The cargo area isn’t the best out there; it could fit a standard-sized child stroller and only a few grocery bags. 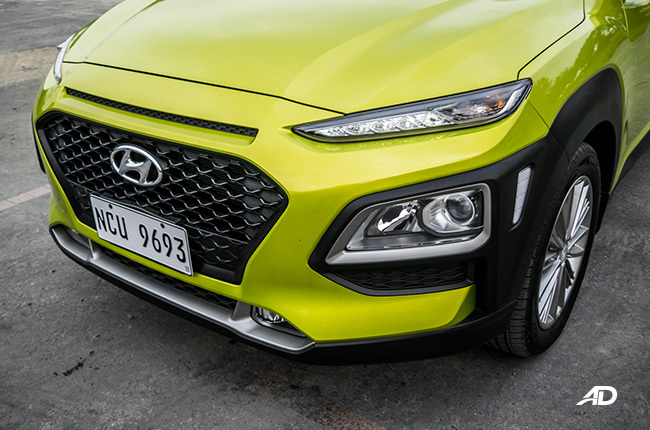 There aren’t much tech features offered inside the Hyundai Kona except for essentials like speed-sensing door locks, power-adjustable side mirrors, and auto-down driver’s window. 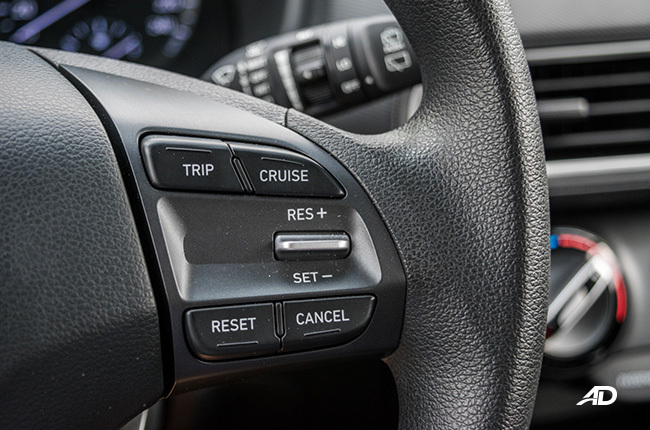 It also has a keyless entry and push-start button for added convenience, as well as cruise control. 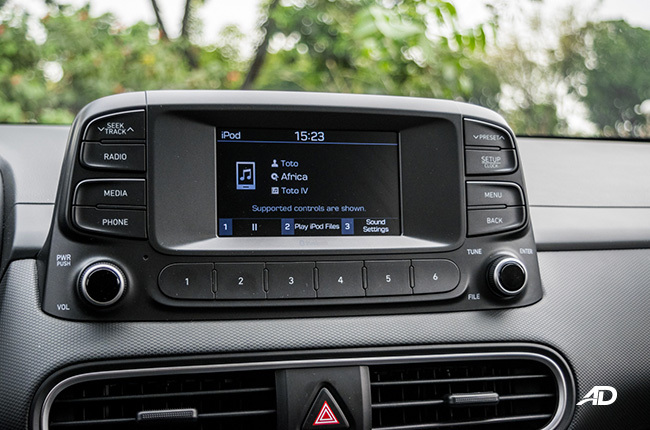 The floating non-touchscreen infotainment system may have a monochrome display but I like how its connectivity, may it be Bluetooth or iPod, is seamless. Handsfree calls are also loud and clear, while the sound coming from the speakers could pass as decent for audiophiles like myself. 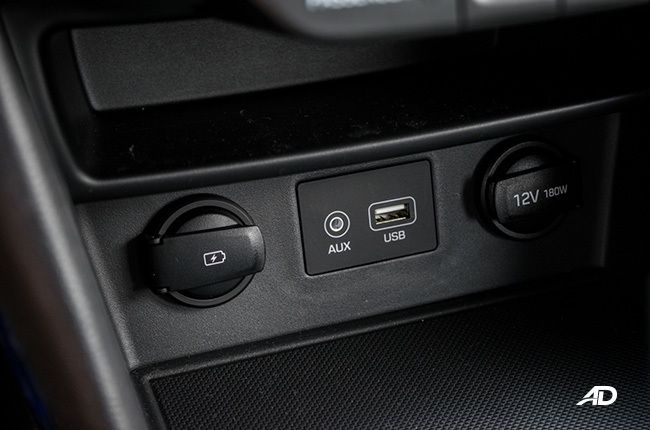 The USB port can also charge smartphones quickly, albeit, it’s limited to the front passengers. 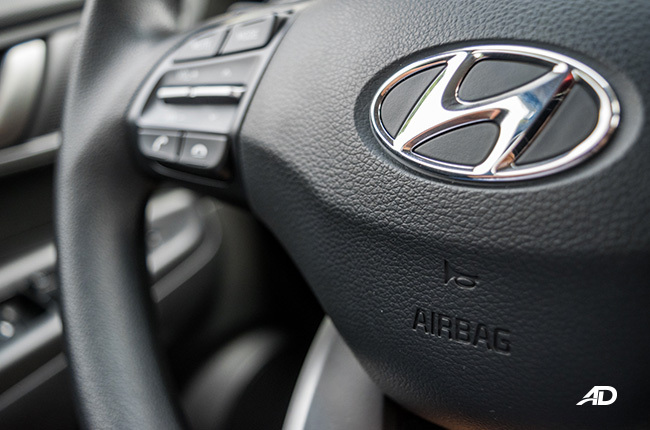 While Hyundai didn’t pay too much attention to the Kona’s tech, safety features aren’t left in vain. 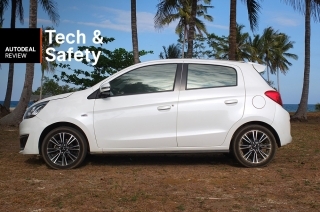 It has six airbags – two in front, two at the sides, and two curtains – while both the driver and passenger get seatbelt reminders. 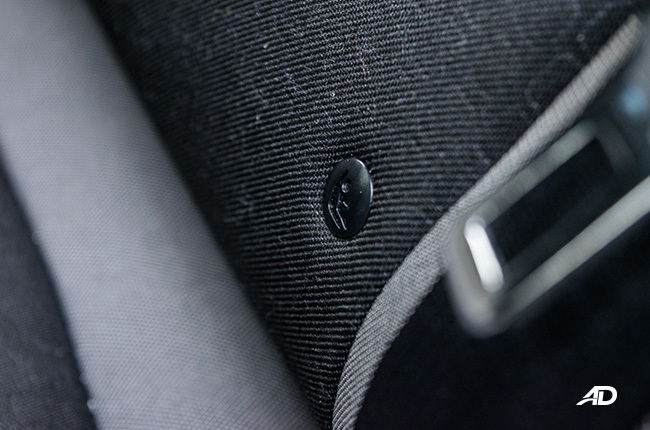 ABS, immobilizer, and ISOFIX child seat anchors also come standard, as well as a tire pressure monitor. 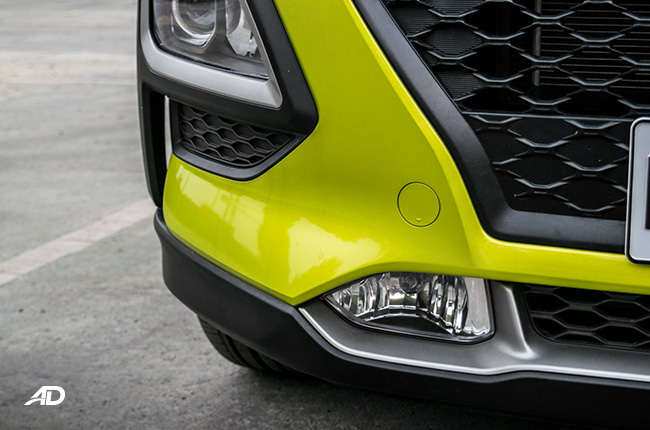 Lastly, and one that’s often overlooked, the Kona’s daytime running lights switch off on the side where you use your turn signal lights, which is in line with the international safety standards in vehicles. Here’s where the Kona stands out (aside from the exterior design, of course). 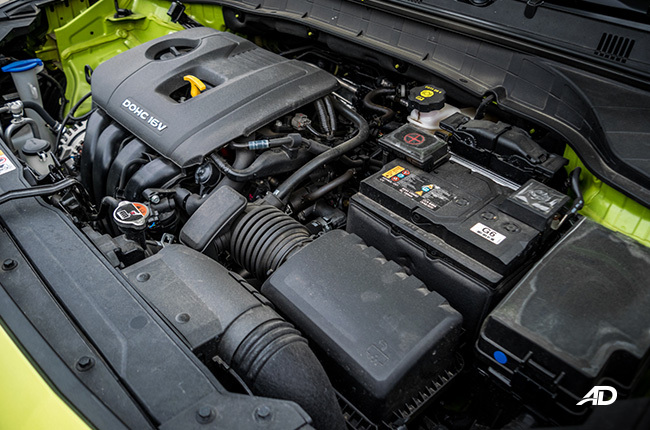 The Kona’s 2.0-liter Atkinson cycle gasoline engine was a delight to drive whether inside the city or on long drives. The numbers on the spec sheet do say 147 hp and 179 Nm of torque, which were a bit low for its displacement, but quite frankly, it felt differently on the actual drive. 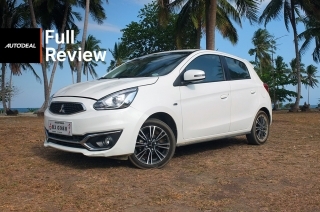 The Kona didn’t have sports car-like performance and yet, I was happy with it during the whole duration of the review. 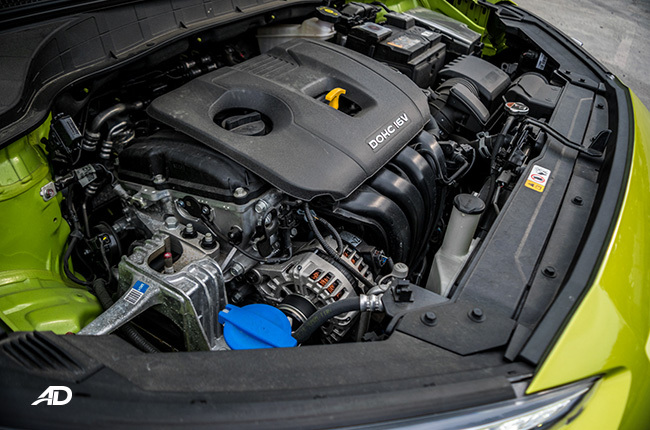 The engine was responsive with every accelerator input, even from a standstill, almost like it’s eager to move forward before you actually wanted to. So much so, in fact, that it’s prone to over-revving, so you might want to ease up on that gas pedal. 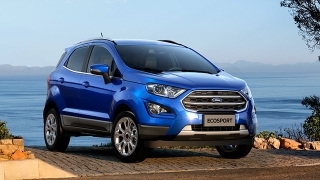 The six-speed automatic transmission shifted swiftly and smoothly, as well. If there’s any qualm, that would be at around 80 km/h where the engine seemed to have reached a plateau, but that’s fine as you could still hit the maximum speed limit with ease. 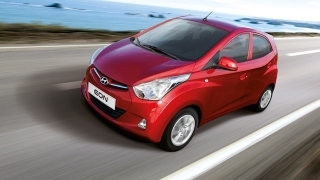 In addition, the Kona employed great weight to its steering without hampering tight city maneuvers. 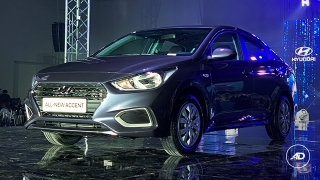 Forward driving visibility was also ample, but there’s a bit of a blind spot when driving in reverse, so you would need to be careful when backing up since the Kona doesn’t have a rear-view camera or a rear proximity sensor. Nevertheless, the Kona’s handling was commendable – it felt light and nimble while having negligible body roll and minimal understeer on non-racetrack turns. Combined with its balanced suspension setup, the Kona’s ride comfort is noteworthy and one of its main strengths. Much to my surprise, the Kona’s fuel efficiency didn’t suffer from its obedient engine. 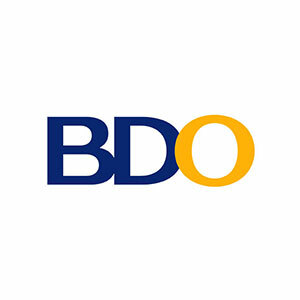 An hour of driving during rush hours read back 7.6 km/L, while faster drives at around 60 km/h registered 14.1 km/L. Highway sprints at an average speed of 90 km/h clocked in a stellar 21.5 km/L fuel efficiency reading. 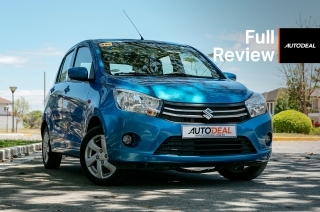 Not bad for a 2.0-liter gasoline engine. Not bad at all. 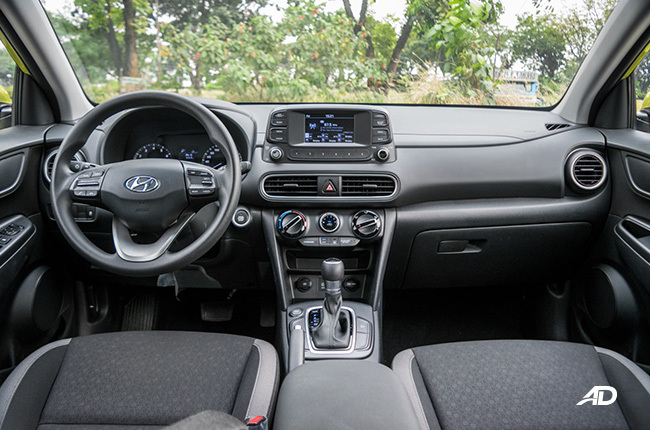 The Hyundai Kona’s driving dynamics and outstanding exterior design make for an award-winning vehicle, but falling short on specs is somewhat acceptable to make up for the rather affordable P1,118,000 price tag. 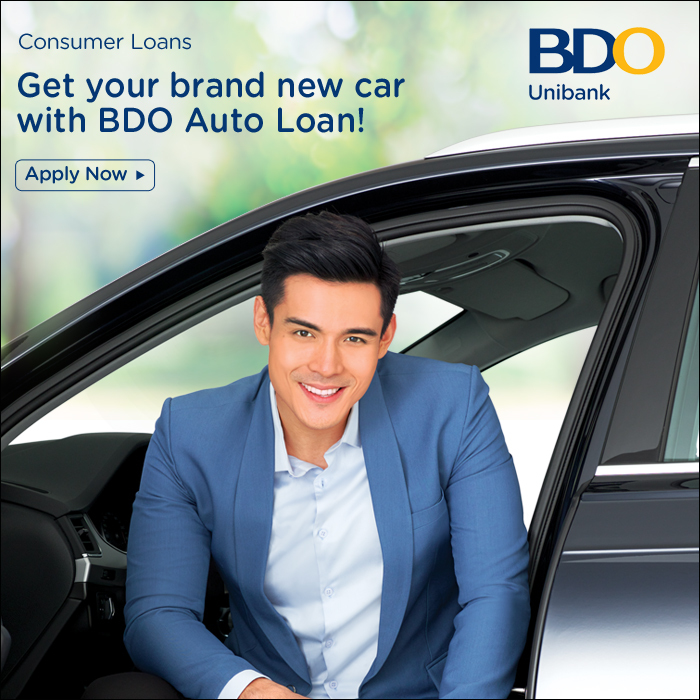 It’s perfect for young active individuals who want a head-turning vehicle that’s paired with a minimalistic and clean interior. 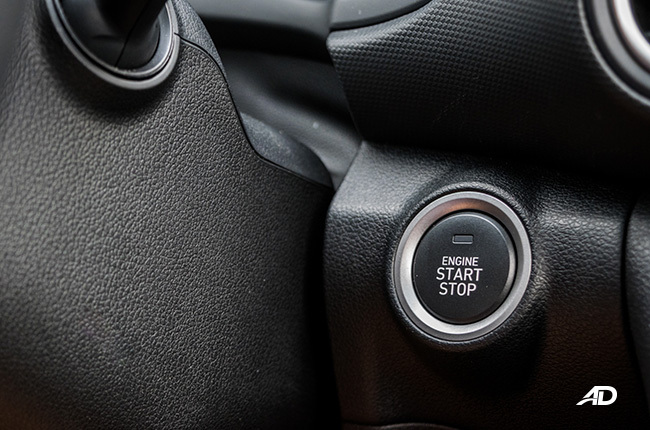 The lack of techie features isn’t hard to live with, making it a great match to those who are more into driving experience and the love of getting behind the wheel. 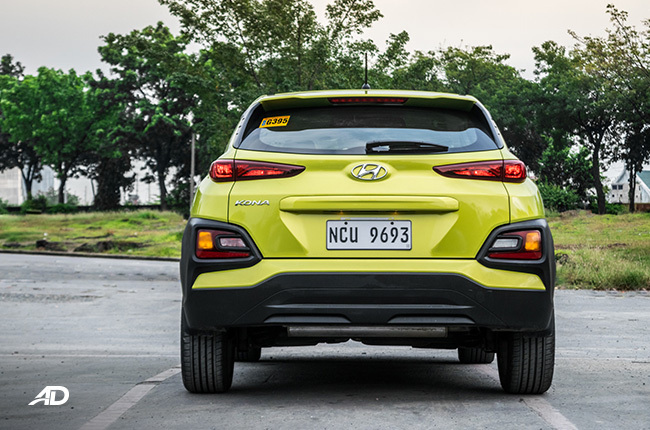 This may be the third time that Hyundai will try to penetrate the subcompact crossover segment, but the Kona has proven that it has the right amount of strength and charm to go head to head with the segment favorites – something that Filipino car buyers should check out. 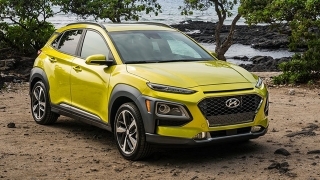 Hi, I would like to receive a financing quote for the Hyundai Kona 2.0 GLS AT, thank you.